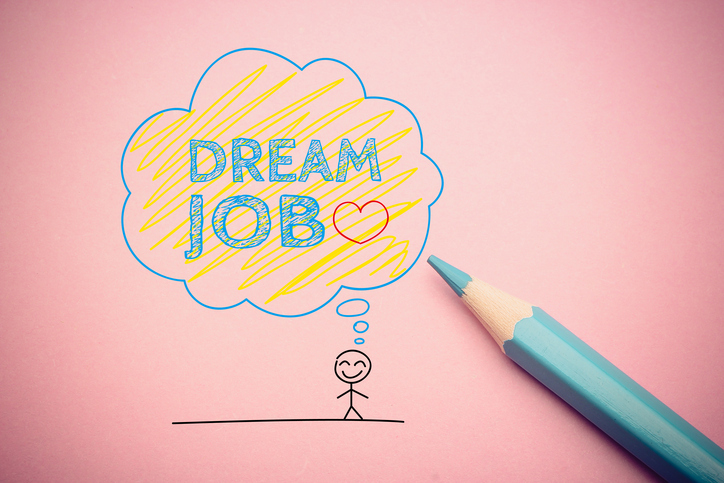 There are many people who are looking for a dream job that they can look forward to going to each and every day for years to come. When looking for your dream job, it’s important to know what steps to take to ensure that you’re able to one day do the job you’re meant to do. The following guide walks you through a few tips to use when you’re ready to start a career. The first thing you need to do is narrow down what interests you and what you think you would enjoy on a regular basis. You want to be sure that it’s something obtainable to you though. There are some jobs that are restrictive based on things that people cannot change. For example, you cannot make yourself shorter than you are, so a job that is restricted to someone under your height won’t be right for you. The next thing you need to do is determine what the qualifications are for the job you want to do. There are some jobs that simply require you to have knowledge about specific things. There are qualification tests online at Exam Edge that you can use to see if you’ve got enough knowledge about those specific things, or if some specialized training is needed. If you want to start a career in a field that requires a specific education, you need to learn those things before you can even apply for a job in the field. It’s best to finish the schooling process as quickly as you can so that you can start your career as soon as possible. There are many people who are able to take multiple training courses at one time so that they can get certified in the field they desire in less time. There are many people who have to start at the bottom in a company and work their way up over time. You need to be willing to prove that you’re willing to do what it takes to succeed in the industry you’re pursuing. There are many people who have to fight for years to prove that they are knowledgeable and deserve the job that they have strived years to get. Over time, people often become complacent with their jobs. They take their eye off of their end goal and start to lose their drive. Employers are always looking for employees who constantly excel. They want to employ people who are willing to put in the work to get the best end result possible. If you’re persistent and hardworking the entire time you work for a company, eventually the boss will notice and more than likely give you the job you have been working to get. It’s also important for you to always be bettering yourself. Be sure to get any additional training that comes along throughout your career so that you’re an asset to the company. Having skilled, well-trained employees makes a business thrive. Knowing that you have taken the initiative to get additional training, even if it isn’t necessary, will help you stand out from the rest.